Let’s explore two valuable snooper truck models in our rental lineup, the Paxton-Mitchell 140 and 260. Both are proudly manufactured and assembled in the United States and offer superior versatility and safety. All Paxton-Mitchell snoopers are compliant with ANSI A92.8 standards for vehicle-mounted bridge inspection and maintenance devices. Ready to rent? Contact us. The Paxton-Mitchell Snooper 140 is the most widely-used bridge inspection truck in the world. It offers maximum versatility in a medium-class truck. The PM-140 Series requires only 10’ width when outrigger is down, less than one lane of traffic. The total weight is under 50K lbs. and front axle will not exceed 12K lbs. (platform) or 16K lbs. (basket). Rear tandem, 34K lbs. The 360º turn capability allows the PM 140 Series to be operated from either side of the truck. This makes it simpler to position the vehicle as needed: with or against the traffic flow, and keep the operator safe. All PM 140 components are manufactured and assembled in the United States. The Paxton-Mitchell Snooper 260 has the largest UBIT reach and coverage. 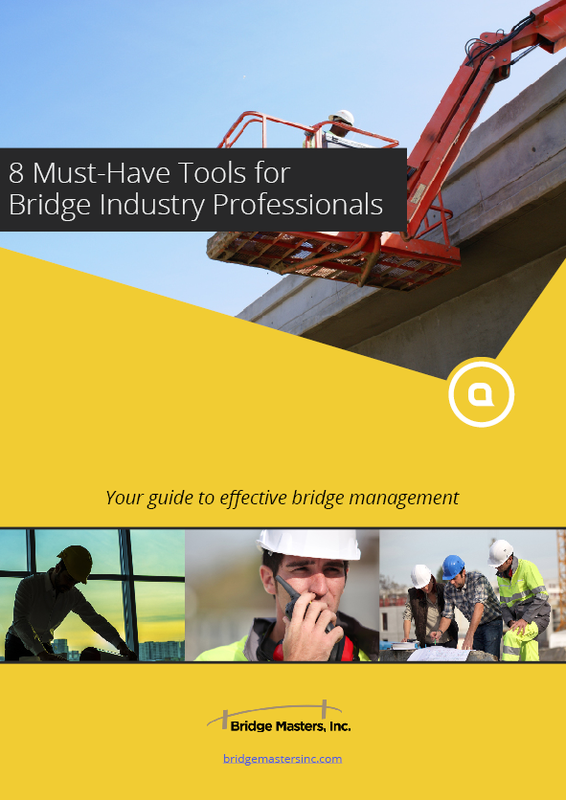 It’s ideal for large-scale and difficult-to-reach bridge inspection/work environments. The PM-260 Series operates within a single lane, with or against the traffic flow. This helps keep the operator safe and work efficient. Enjoy up to 6,800 square feet, thanks to the 360 degree main turret rotation, 270 degree 2nd turret rotation and the 60’ horizontal reach from outer edge of the bridge deck. All PM 260 components are manufactured and assembled in the United States.